TOKYO -- Carlos Ghosn will speak publicly on Tuesday for the first time since his arrest almost two months ago, when he appears in a Japanese court. Handcuffed and with a rope tied around his waist, as is the practice in Japanese courts, the former Nissan chairman will declare his innocence and deny any wrongdoing, according to his chief lawyer, Motonari Otsuru. After weeks in jail, where he is being held for alleged financial crimes, Ghosn will have 10 minutes to address the Tokyo district court. It's the executive's first opportunity to mount a defense in person following industry-rocking allegations that he under-reported his compensation and transferred personal trading losses to Nissan. The hearing follows a request by Ghosn's legal team for an explanation on why he remains in detention. Ghosn will be treated like any other suspect at Tuesday's session, which starts at 10:30 a.m. Tokyo time. According to his legal team, Ghosn will appear before the judge, who will confirm personal details such as date of birth and address, before sitting in front of his lawyers. Later, Ghosn will be allowed to address the court in English. But neither he nor his lawyers will be allowed to talk to others there such as family members or media. The hearing will not just give Ghosn a break from incarceration. For his lawyers, it is a chance to argue the ex-Nissan chief's case and push back against his prolonged detention. The legal team, who will have 20 minutes to address the court, plans to insist there is no evidence for the allegations against him and they will probably ask for bail after the hearing, said Otsuru. Ghosn's legal team will speak to the media at the Foreign Correspondents' Club in Tokyo Tuesday at 15:00 p.m. local time. Otsuru is due to read a statement from Ghosn. The architect behind Nissan's alliance with France’s Renault, Ghosn was initially held without charge. His arrest has rocked the world's largest auto pact, amid speculation it was part of a coup by forces within Nissan aimed at staving off a merger of the automakers. His detention was last extended Dec. 31, putting him behind bars until at least Jan. 11. Ghosn has lost about 10 kilograms (22 pounds) in jail and is biding time by reading books, his son Anthony Ghosn told France's Journal du Dimanche at the weekend. The saga has taken many twists and turns, with Ghosn re-arrested on fresh, potentially more serious charges Dec. 21, just when it looked like he may be able to apply for bail. Ghosn has been indicted on the allegations of under-reporting his income, but they are yet to undertake that procedure for the accusation of transferring trading losses. In Japan, indictment paves the way for prosecutors to lay formal charges. 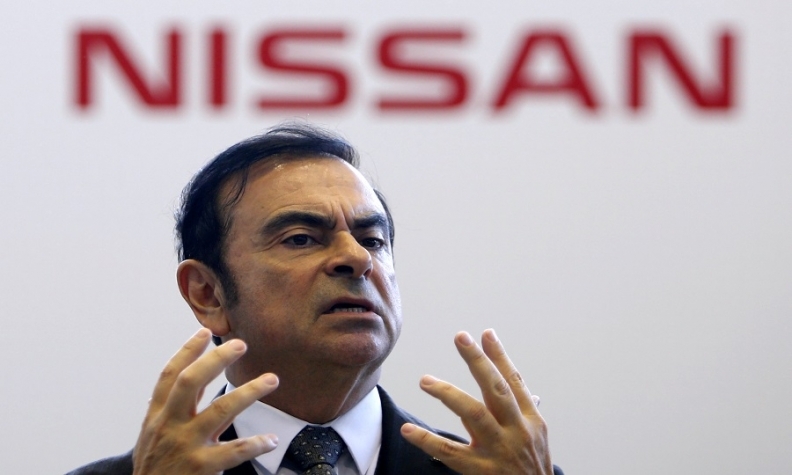 Ghosn's downfall has raised questions about the future of the decades-old alliance. While Nissan dismissed him as chairman shortly after his arrest, Renault retained Ghosn as chairman and CEO, saying it needs evidence of his wrongdoing. If proven, each of Ghosn's alleged offenses may carry a sentence of as much as 10 years, prosecutors have said. Nissan has also accused Ghosn of misusing company funds, including over homes from Brazil to Lebanon and hiring his sister on an advisory contract.